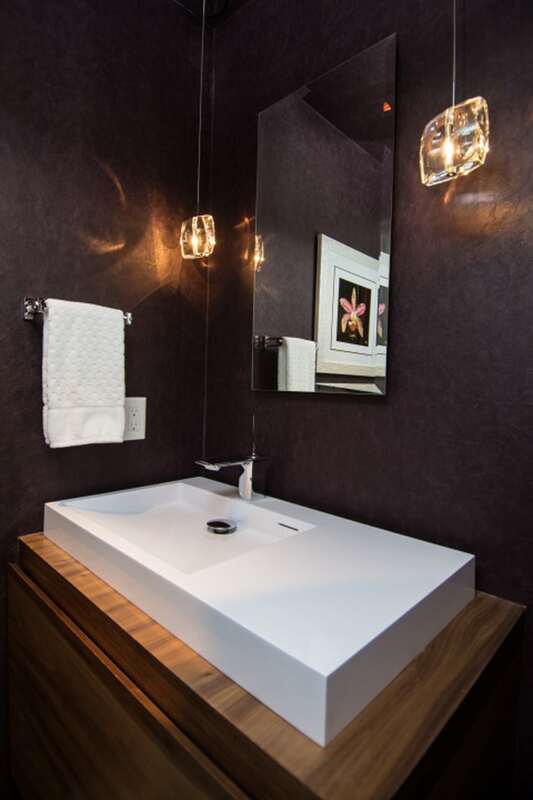 Compact powder room combines luxurious looks with practical storage. 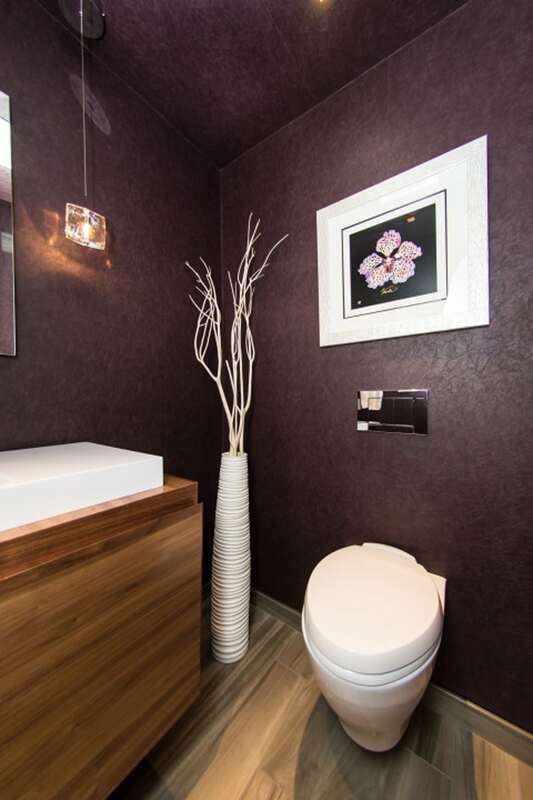 Our remodel of this powder room combines the luxurious looks of crystal, leather, and walnut with much needed storage. 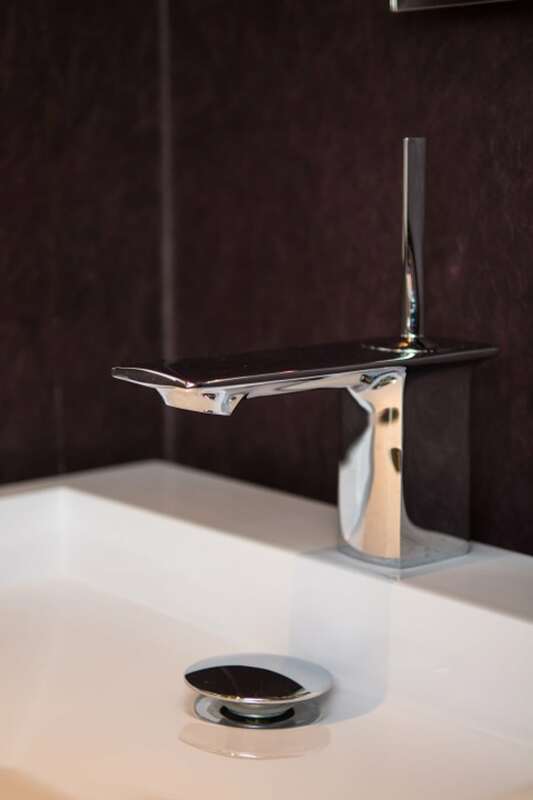 Square crystal pendants and a sleek faucet add sparkle and drama against a backdrop of luscious, deep plum wall covering that looks and feels like leather, but is actually easy-to-clean vinyl. 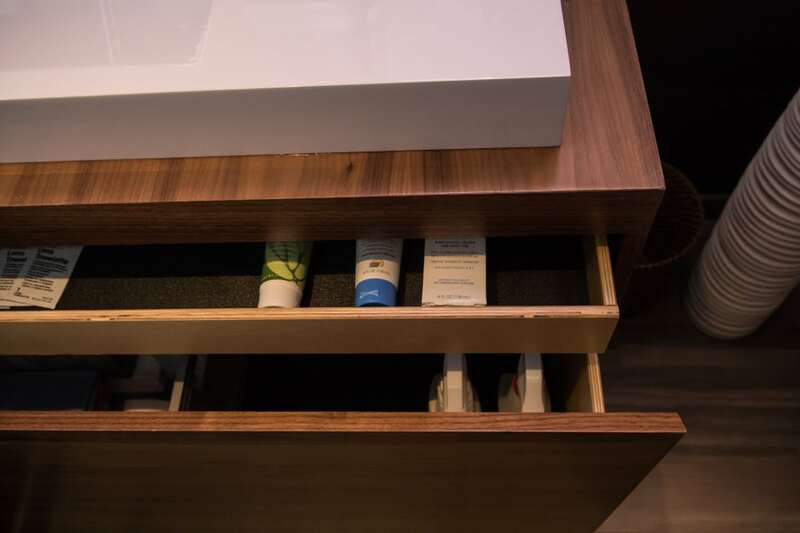 A custom made walnut wall mounted vanity adds a luxurious material while providing extra roomy and functional storage with its surprising drawer-within-a-drawer detail. Installing a wall mounted toilet gave back precious inches in the room and the wall mounted vanity also kept the floor clear, making the room feel more spacious.